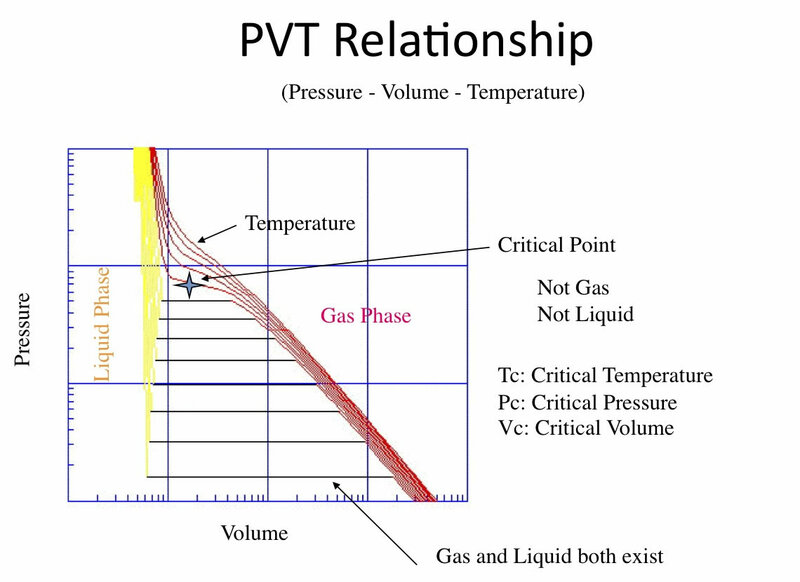 Input Critical point (Tc, Pc, Vc) to VDW equation. Once we know the reduced properties, we can estimate thermo-chemical properties. Every chemical properties are handled with same scheme. And the scheme does not need molecular specific parameter. 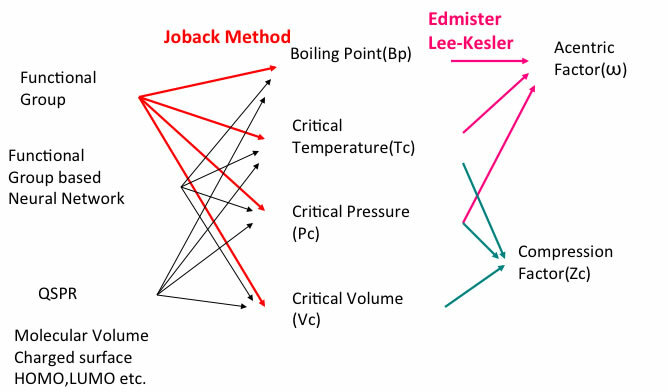 Boiling point & Critical properties are so important! Experimental Critical Properties are hard to get. Experimental Critical Properties will not increase any more. 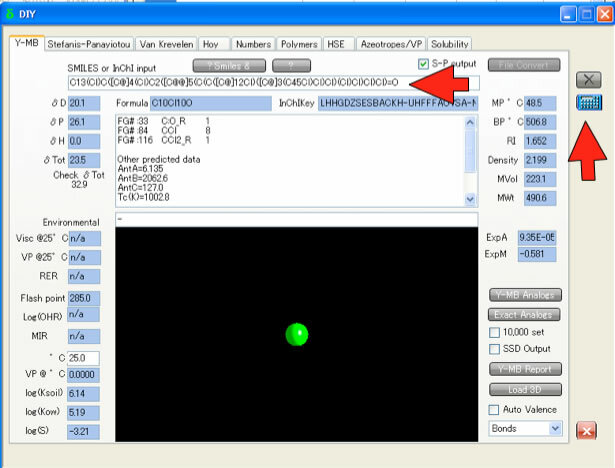 A lot of critical properties estimation were done, but even estimation of boiling point is still very difficult. By the way, i am standing the position that Hansen Solubility Parameter is very important properties as thermo dynamics. And I was asked what is the origin of the Hansen space? 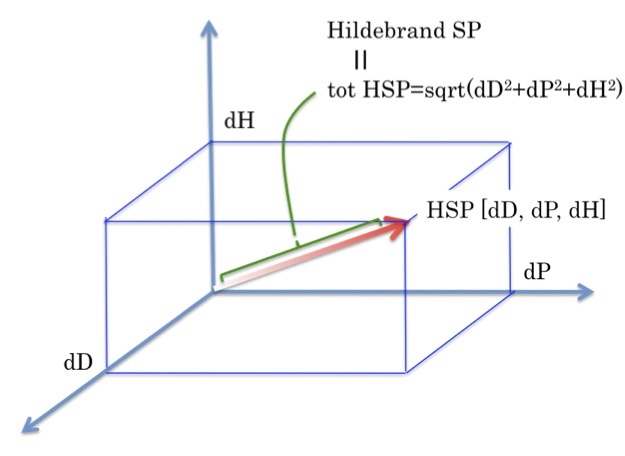 Hansen Solubility Parameter or Hildebrand SP are based on heat of vaporization. And the heat of vaporization of compounds are equal ZERO at critical point. So the origin of Hansen Space is Critical point. 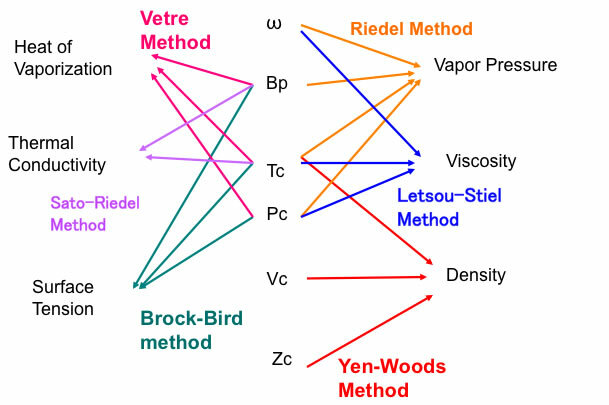 This means that, the reason we can compare one molecule's HSP vectors to the other, the origin of vectors are both same. This is the very important point. 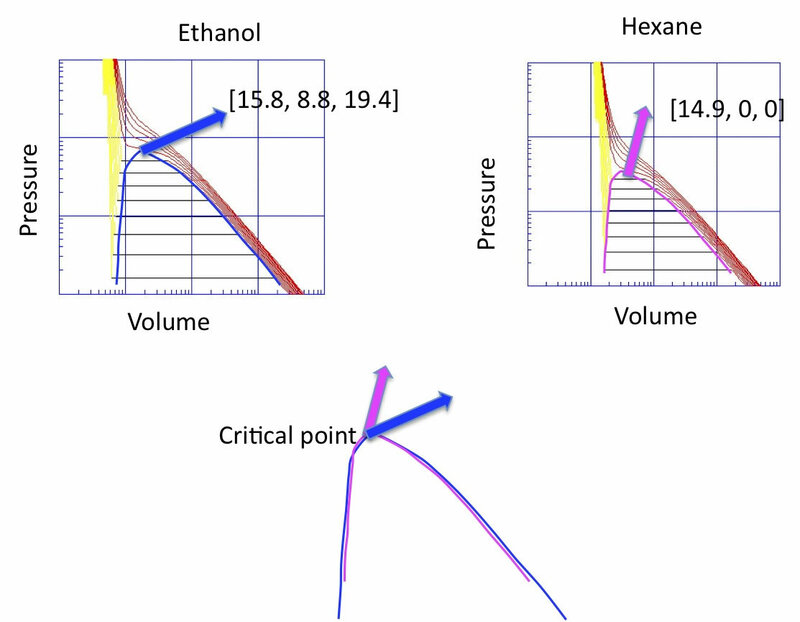 The experimental Critical point will not increase anymore. 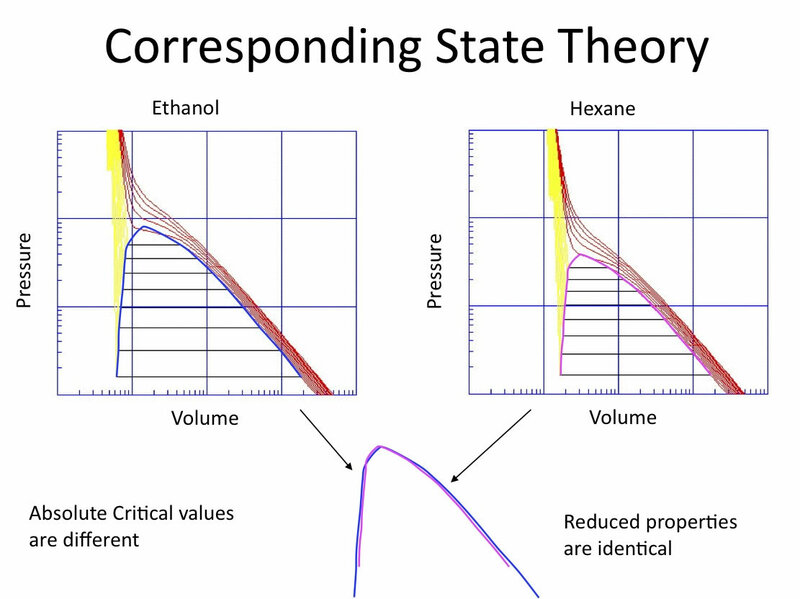 But HSP is part of Corresponding state theory and good HSP values are increase dramatically. 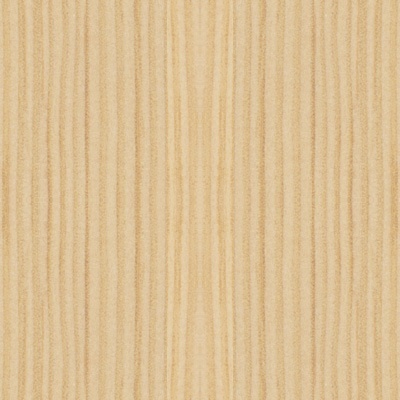 We will show you our HSP base properties estimation results soon.